Microsoft is rolling out a new Groove music app update for fast ring insiders. The latest update brings music video support on Groove music app for Windows 10 PCs and mobiles. Microsoft also updated its Groove app for the Xbox One. 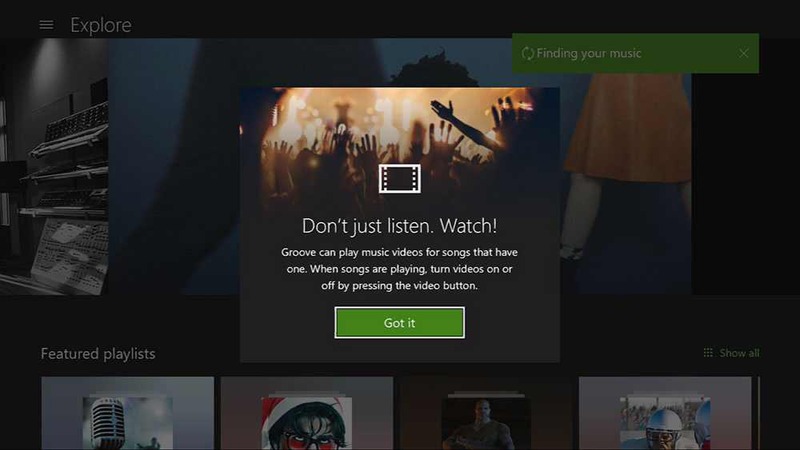 Previously, Groove music video support was available on Xbox One. When songs are playing, turn videos on or off by pressing the video button in the transport control bar. Microsoft is also currently offering a promotion where you can get your first four months for free. The offer is valid until the end of the year. More details here. If you are an insider member, check out Groove music app update version 10.16112.1015 at Windows Store. The company will release this update to non-Insiders in a couple of weeks.